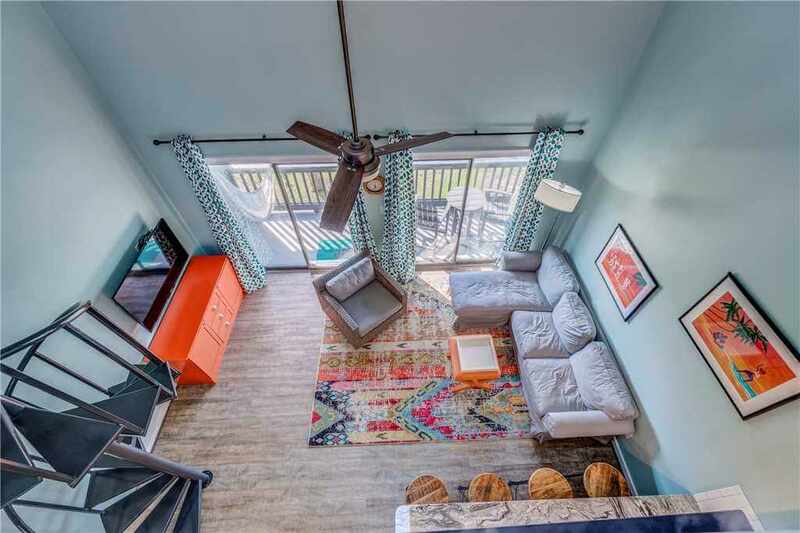 Modern style meets Crystal Coast comfort at this week’s featured property, a two-story Pebble Beach condo called Pebble Beach I-212. 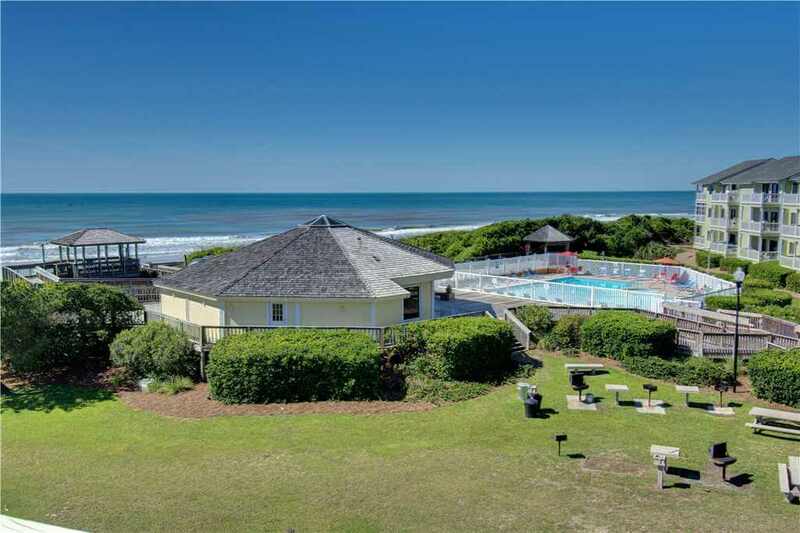 With two bedrooms and two baths, this condo is perfect for a small family getaway or couples retreat and is close to the heart of Emerald Isle. Hardwood floors will welcome you and your guests as you step through the front door of Pebble Beach I-212. 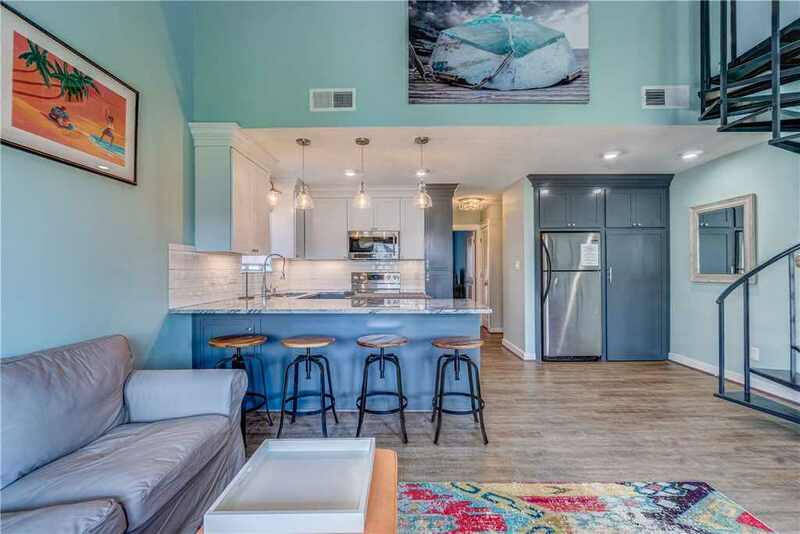 This newly refurbished condo has an updated kitchen complete with granite countertops, a subway tile backsplash, a deep stainless-steel sink as well as state-of-the-art stainless-steel kitchen appliances. You can’t find this is your everyday hotel room. On the other side of the kitchen’s longer counter is the breakfast bar with stooled seating for four. This bar connects the kitchen and living area and has a laidback feel whether enjoying a meal or entertaining guests. The living room takes on a blue color scheme with orange accents which complement the contemporary feel of the condo and features a sectional sofa and two large wicker chairs with cushioned seats. Above an orange sideboard is a large wall mounted flat screen SmartTV with access to popular streaming applications like Netflix and Hulu. 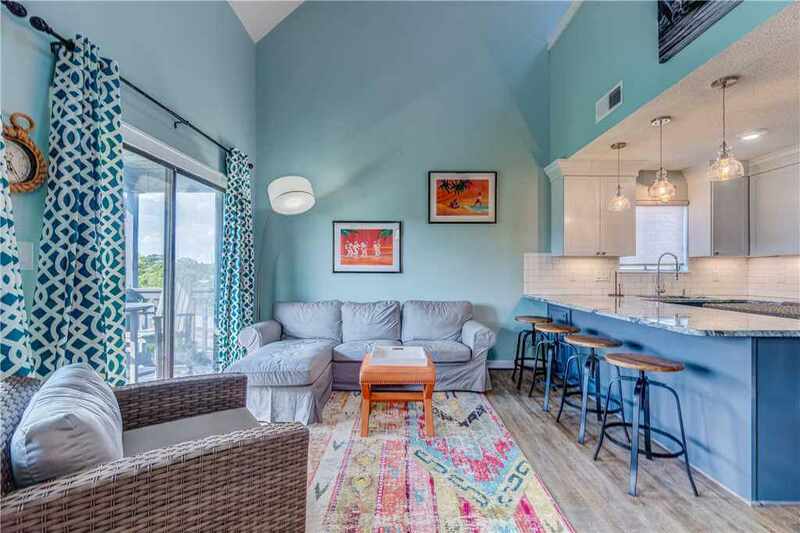 The blue tones in the living room really shine bright from the natural light that comes through from the sliding doors that go out to the balcony which looks out to the Pebble Beach condo community. 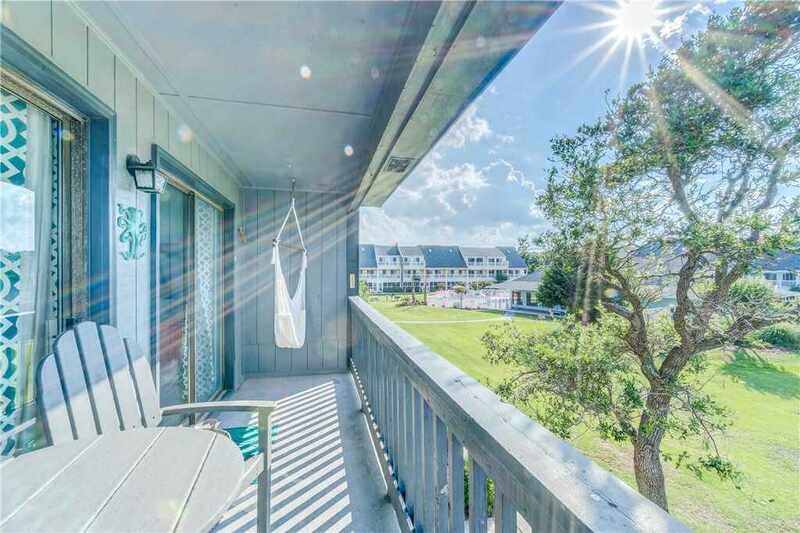 The balcony that overlooks the Pebble Beach community pool has a counterweight table with seating for two and hammock in the corner, which is nice to relax in while taking in an unforgettable Emerald Isle sunset. 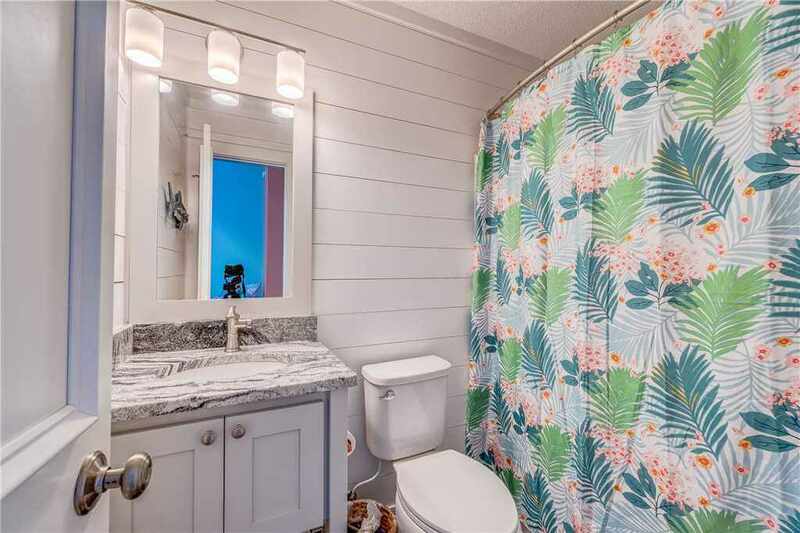 When it comes to amenities, this condo includes Island Club linen services, has a washer and dryer and also includes high-speed wireless Internet. 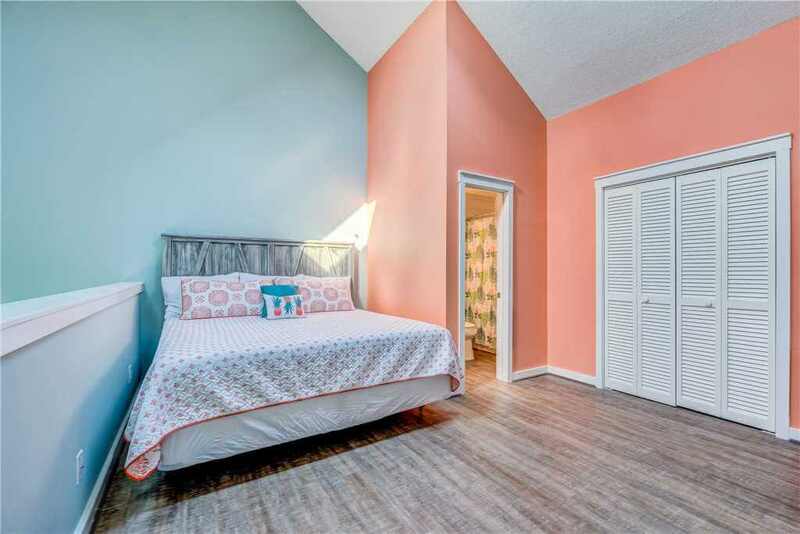 In addition to the kitchen, the first-floor bedroom has a king size bed and continues the blue and orange color scheme from the living room against a white shiplap background. There also is a SmartTV in the room with access to streaming apps. 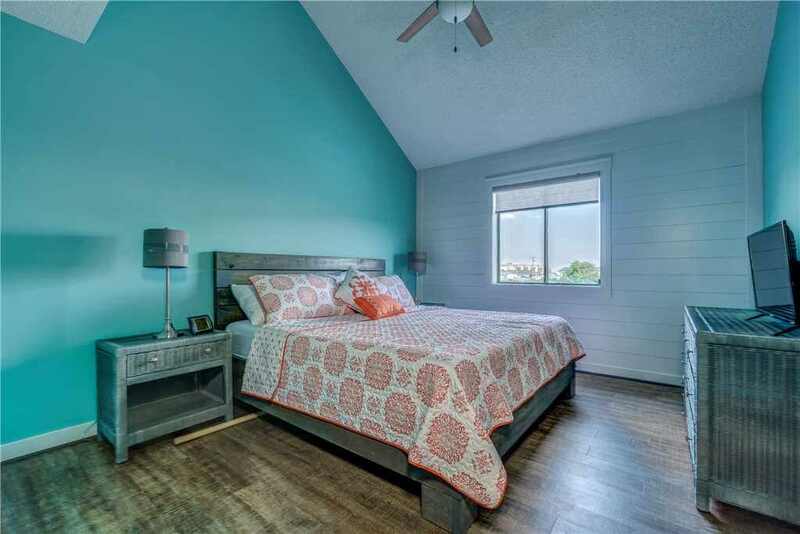 This first-floor bedroom is close to its own bathroom which has also been remodeled with shiplap walls and new countertops. Up the winding staircase is the loft bedroom with another king size bed and a sweeping view overlooking the first-floor living room. Another bathroom upstairs also has been remodeled. The sectional couch in the living room also doubles as a trundle bed. 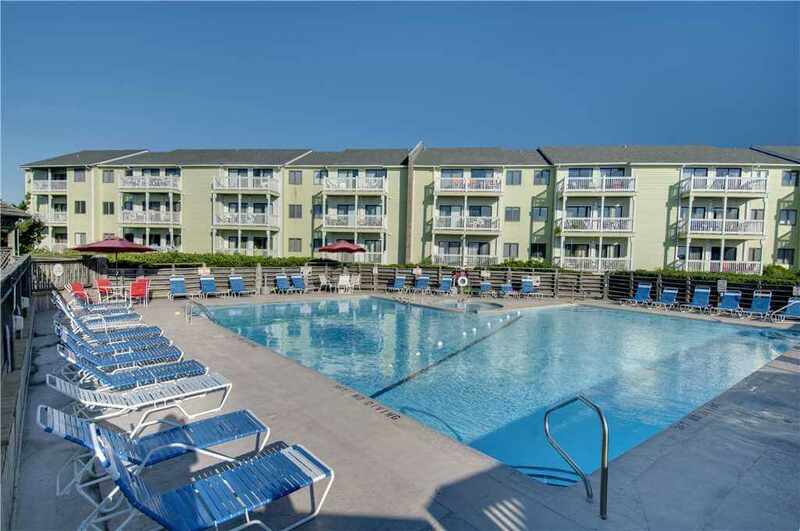 One of the benefits of renting a condo in Emerald Isle is not only the close proximity of the beach but also the property amenities. Pebble Beach has a total of three pools across the property to take advantage of. The first pool is off the beach access boardwalk and is the largest pool at Pebble Beach and features lounging furniture and kiddie pool. The second pool is smaller and is outside of the central clubhouse and also features lounging furniture and kiddie pool. 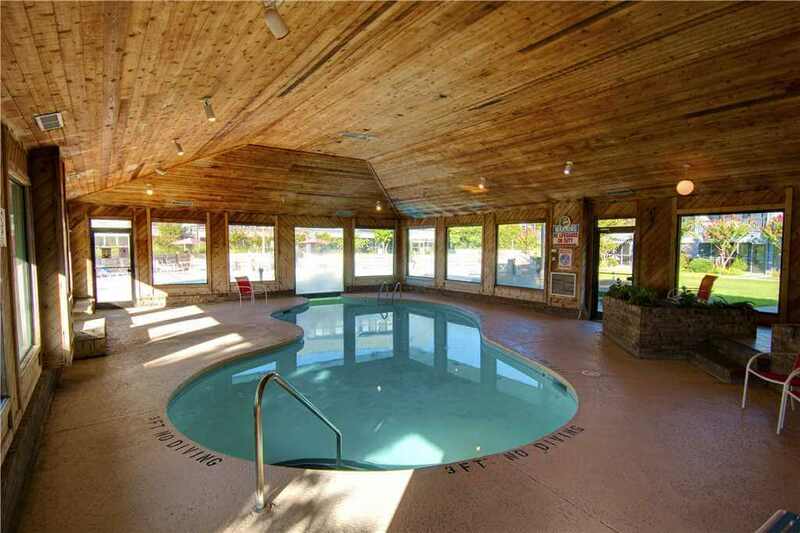 Inside the clubhouse is a spectacular indoor pool surrounded by a wooden ceiling and swims right up to the outdoor pool with only a window separating the two. 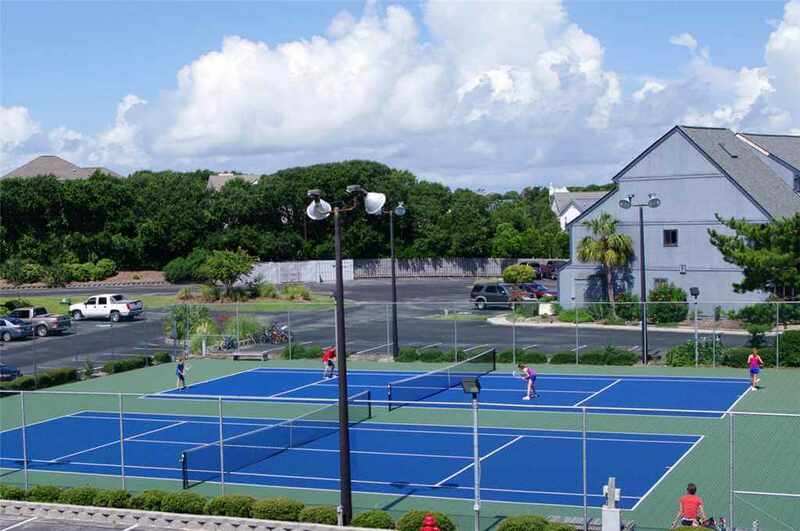 And if tennis is your game, check out the two lighted tennis courts and serve up your best game. There also is a picnic area with four park benches and several charcoal grills for an evening of BBQ with your friends or the family. 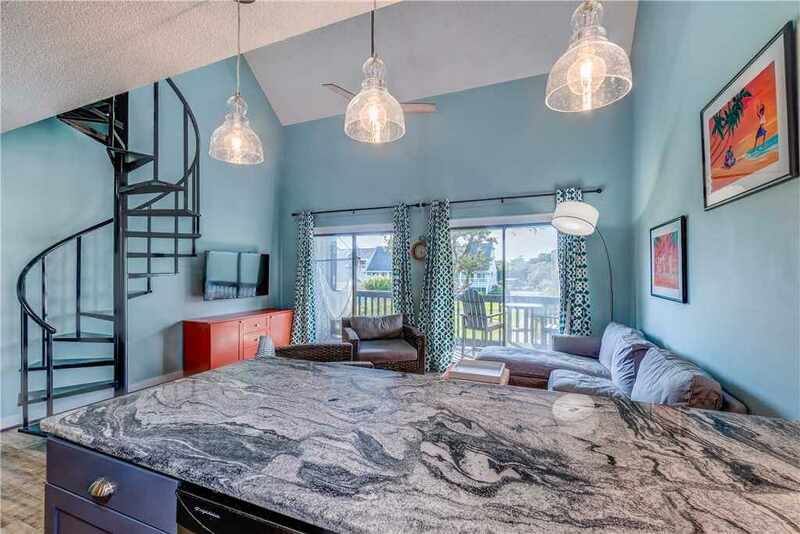 Pebble Beach I-212 is a beautifully remodeled and decorated condo in the amenity-filled Pebble Beach Community. 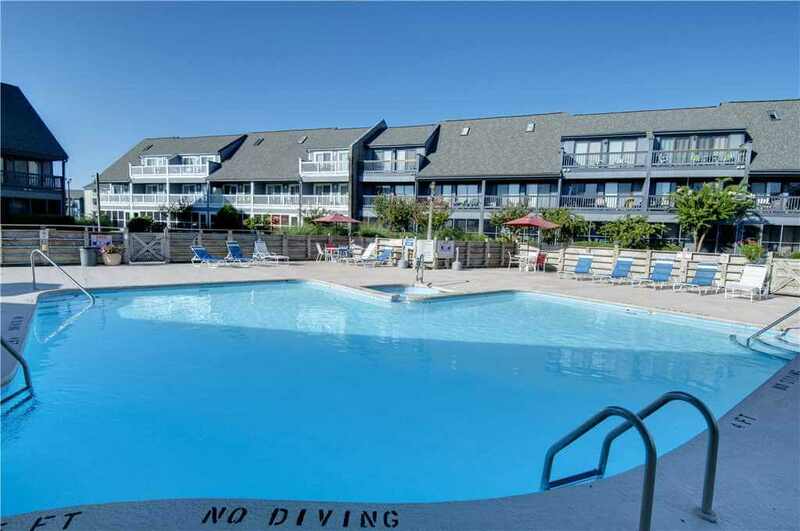 This condo also has our Spring Savings Discount available and proudly welcomes military personnel!  Click here to see more photos of this condo and here to see its availability!